The shortcut biological nitrogen removal (SBNR) process requires less aeration and external carbon due to the oxidization of ammonia into nitrite and its direct denitrification to nitrogen gas during the biological nitrogen removal process. However, this process produces a poor effluent containing NH4+, since the system has to maintain a high free ammonia (FA, NH3) concentration. 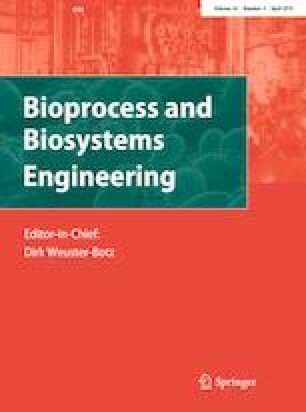 To overcome this drawback, in this study, the solid retention time (SRT) and the dissolved oxygen (DO) concentration were controlled to achieve both a high ammonia removal rate and nitrite accumulation in the sequencing batch reactor (SBR) process, which can remove nitrogen from wastewater to the desired concentration and provide high free ammonia inhibition and continuous shock loading. When sufficient DO was supplied, nitrite did not accumulate with a 20-day SRT, but the wash-out of nitrite oxidizers in a shorter SRT resulted in a high nitrite accumulation. When DO acted as a limitation, nitrite accumulated at all SRTs. This indicates that nitrite accumulation is more highly influenced by SRT and DO concentration than by FA inhibition. Also, as nitrite accumulated over a 10-day SRT regardless of DO concentration, the accumulation was more highly influenced by SRT than by DO concentration.